Ellis Medicine is an invaluable healthcare resource for our region, providing the community with access to a broad array of vital health care services 24 hours a day, seven days a week, 365 days a year. 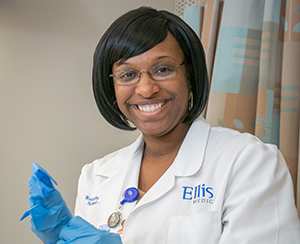 Ellis Medicine offers various nursing opportunities available throughout our three campuses -- Bellevue Woman's Center, Ellis Hospital and the McClellan Street Health Center. A-3 is a 32 bed surgical unit designed to care for the adult bariatric, orthopedic, and general surgery patient. Comprehensive disease management is provided for the adult surgical patient. The team of healthcare professionals works collaboratively to develop a partnership with the patient and/or family to attain an appropriate level of comfort and achieve the best possible plan of care. Individualized educational plans are devised for surgical patients. A-5 is a 32 bed medical/surgical unit for patients who require specialized nursing for advanced pulmonary disease such as pneumonia and COPD. A-6 is a 32-bed medical unit that focuses on the medical care of patients. B-2 is an Inpatient Dialysis unit provides hemodialysis treatments to patients at bedside or in the Dialysis area. C-1 is a 14-bed medical unit that focuses on the care of patients oncologic disease processes. Hospice and palliative care patients on this unit need higher skilled services, particularly for those patients who require more intensive patient management. C-4 is a 20-bed geriatric unit is specially designed for older patients. The unit includes a state-of-the-art Snoelezen Room for sensory stimulation of patients. C-5 is a 14-bed inpatient unit for adult observation and short stay patients. Plus there are eight designated beds for pediatric care. C-6 is a 19-bed unit with a neuroscience focus. This unit is designed to care for newly diagnosed stroke patients, head injuries, brain tumor patients and neurosurgical intervention patients to name a few of our most common conditions served. Eight beds are designated as Neuro Intensive Care/Intermediate Care with ventilator support and continuous cardiac monitoring. Ten beds are dedicated to serving the neurological and/or neurosurgical patient, and medical/surgical populations. Additionally, there is one room dedicated to epilepsy monitoring for patients. The C-6 nursing unit serves as our “primary stroke unit” offering except care by specially trained nurses and ancillary staff, offering a multidisciplinary approach to coordinated stroke care. C-6 is part of a nationally recognized stroke program. Ellis Medicine's Bariatric Care Center, located at 2125 River Road in Niskayuna and with an office in Clifton Park, offers a comprehensive surgical weight loss program to help qualified, morbidly obese patients succeed in safely and effectively losing weight and keeping it off. Nursing opportunities at the Bariatric center include education, monitoring weight loss, health issues related to bariatric surgery and follow-up needs of the patients. Ellis is a designated Center of Excellence by the American Society of Metabolic and Bariatric Surgery. The Bruggeman Center for Diagnosis & Treatment is a state-of-the-art facility for outpatient testing and treatment located in A-1 of the hospital. The Bruggeman Center has five procedure rooms and an 11-bed recovery area that serves patients requiring gastrointestinal and pulmonary procedures. An ophthalmology exam and minor treatment area is also provided in this department. The Bruggeman Center's umbrella of services encompasses other outpatient diagnostic and treatment services at Ellis, including - angiography, x-rays, CT scans, ultrasounds, nuclear medicine procedures and MRI testing, (see Radiology Department descriptions below for details on nursing opportunities in these areas). The Anna Bennett Cardiac Catheterization Suite, which features two cath labs and an electrophysiology lab complete with the latest GE medical technology, is located on A-2 and provides lifesaving treatments to thousands of cardiac patients each year, including diagnostic cardiac catheterizations, stents, ablations, angioplasty, pacemakers and internal defibrillators. Cardiac Rehabilitation at Ellis Hospital is an aggressive three-phase program that is medically supervised by a physician, registered nurses and exercise therapists who are trained in basic and advanced life support, as well as in exercise therapy of coronary disease. The program helps cardiac patients in achieving and maintaining a healthy and active lifestyle. Case Management professionals at Ellis Medicine help to coordinate the care of patients and serve as the interface between one healthcare setting and another (e.g., from the hospital to nursing home). The goal of our Case Managers, who are registered nurses, is to ensure the highest quality and best coordination possible across the continuum of care. They provide patient education, promote disease management and wellness/prevention services, and serve as a bridge to connect patients to the services they need in the community - whether it is health care related or another social need such as education, housing, food, clothing or financial assistance services. The state-of-the-art Neil and Jane Golub Center for Emergency Care at Ellis Hospital is a Level II trauma emergency department (ED) that provides an array of services, including, but not limited to, the evaluation and stabilization of illness and trauma, and the diagnosis and treatment of patients with urgent and chronic medical, surgical, dental and emotional needs. Specialty and tertiary services include - cardiac, vascular and thoracic medicine, hematology and toxicology, neurology, gastroenterology, endocrinology, orthopedic medicine, ophthalmology, gynecology, pediatrics and psychiatric crisis intervention. A dedicated mental health crisis stabilization unit, located within the ED, provides care for those patients seeking help for mental health issues. The unit is staffed with registered nurses, mental health technicians, psychiatric crisis workers, psychiatrists and security officers, 24 hours a day, 7 days a week to care for our mental health patients in crisis. The Beulah T. Hinkle Intensive Care Unit is two-story, 36 bed critical care unit located in the E-1 and E-2 wings of Ellis Hospital. 24 beds are dedicated for critical care patients and 12 beds are designated as “step-down” or intermediary between critical care and medical/surgical units. The ICU is a state-of-the art facility designed to provide care to adults who are critically ill, including: patients in shock who require hemodynamic monitoring; vascular, thoracic and cardiac surgery patients; and patients with acute respiratory disease processes who require mechanical ventilation. There is a cardiac care area on the second floor of the ICU, which features cardiac ICU rooms equipped with operating room-quality lighting for use in emergency situations. The centralized location of the new ICU brings critically ill patients closer to key services such as the radiology department, operating rooms, the emergency department and the Anna Bennett Cardiac Catheterization Suite. EllisWorks: The Center for Occupational Health is a hospital department that specializes in occupational health designed to keep employees healthy and get injured workers well and back on the job. EllisWorks provides such services as: prevention, treatment and management of work-related injury and illness; physical exams and screenings; drug and alcohol testing; and immunizations and travel immunizations. 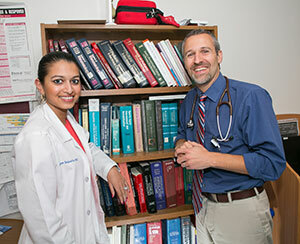 Ellis Medicine offers primary care services in a number of locations. Registered nurses are a key part of the highly trained staff who offer comprehensive and coordinated care for everything from colds and the flu, to immunizations, regular check-ups and the concerns that come with aging. Ellis Primary Care in Clifton Park is located at 103 Sitterly Road in Clifton Park. Ellis Primary Care in Glenville is located at 460 Saratoga Road in Glenville. Ellis Primary Care in Latham is located at 930 Albany-Shaker Road in Latham. Ellis Primary Care at Nott Street in Schenectady is located at 1201 Nott Street, Suite 207 in the Medical Arts Building (adjacent to Ellis Hospital). Also see the Ellis Health Center section below for details on primary care services offered at the Family Health Center and Pediatric Health Center. C-2 and C-3 are each 18 bed units that provide mental health services to adults who require a safe and therapeutic environment. B-3 is a 16 bed unit that offers mental health services to adolescents ranging in age from 11 to 18 who require a safe, secure and therapeutic environment. Ellis Medicine is the only inpatient mental health provider in Schenectady County and extends its reach to serve adolescents in a 16 county radius. A mental health crisis unit is provided as part of the Emergency Department. Ellis Medicine also offers outpatient mental health services, including a clinic located on LaFayette Street in Schenectady, and a Continuing Day Treatment program located on State Street in Schenectady. Ellis' Radiology Department, located in A-1 of the hospital, provides an array of advanced diagnostic testing, including nuclear medicine, CT scans (Ellis utilizes a 64-slice CT scanner), ultrasound and X-ray exams, all of which are being performed in a digital format. Also included within the Radiology Department are the state-of-the-art Gustin Angiography Suite and the MRI Center at Ellis, which also feature digital technology so that all patient images are electronically stored, viewed and transmitted. The role of the R.N. in Radiology is to assist with preparation and monitoring during and post special procedures within the department. The Surgical Services Department, as it relates to nursing opportunities, consists of four separate, but overlapping units at Ellis Hospital that provide specialized surgical services - Pre-admission Testing, Day Surgery, Post-Anesthesia Care and Surgical Suite. Surgical services are available 24 hours a day and nurses provide pre-operative, intra-operative and post-operative care to patients who require surgical intervention under general, regional, local and/or monitored anesthesia. 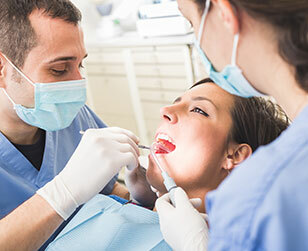 Patient flow is critical to the efficiency, utilization and timeliness of these areas. Pre-admission Testing is located on the second floor adjacent to the B-2 Short Stay Unit. Patients scheduled for surgery are seen by a registered nurse for assessment and patient teaching prior to the day of surgery. The Day Surgery Unit on A-2 is an 18-bed unit designed for the recovery of patients after surgery and the induction of general or other forms of anesthesia. All registered nurses who work in this area must have BLS and PALS certification and be ACLS prepared. The Post Anesthesia Care Unit on A-2 is a 9-bed unit designed for the recovery of patients after surgery and the induction of general or other forms of anesthesia. All registered nurses who work in this area must have BLS and PALS certification and be ACLS prepared. Surgical Suite on A-2 has 11 operating rooms, two of which are dedicated to cardiac surgery, and one local procedure room. A team of nurses, physicians, anesthesiologists, certified nurse anesthetists, physician assistants, surgical technicians and other support staff provide surgical services 24 hours a day. Robotic-assisted surgery using the daVinci Robot is used for gynecologic, general, thoracic and urologic surgeries. In addition, Bellevue Woman's Center provides surgical services related to women's care as well as provides operative procedures for adults. Ellis Medicine also operates a Day Surgery program at the Ellis Health Center (see Ellis Health Center section below). This department coordinates organizational Quality, Patient Safety, Risk Management, Regulatory and Infection Control activities. Functions include: data collection, analysis and reporting to ensure patient safety, customer satisfaction and quality clinical outcomes; procedure reviews and aggregation of medical staff quality data to support the medical staff credentialing process; investigation, review and analysis of occurrence reports for risk identification, loss prevention and incident investigation purposes; tracking and trending of occurrence data and root cause analysis; routine surveillance of nosocomial infections and drug-resistant organisms; and education of hospital and medical staff, patients and families to prevent transmission of infections. The Bellevue Woman’s Center, located in Niskayuna on Troy- Schenectady Road, and has a Labor, Delivery, Recovery Unit, OB/GYN Unit and Nursery Complex. The OB/GYN Unit has 40 beds for postpartum and surgical/gynecology patients, practicing Family Centered Maternity Care, also known as Mother Baby Care. A Level II Special Care Nursery provides care for preterm infants as early as 30 weeks gestation and term infants requiring a higher level of care. The LDR Suite provides comprehensive nursing care to the Obstetrical Patient before, during, and after delivery, as well as initial newborn care. The unit consists of 10 private LDR Rooms and one Triage Room. Surgical services are available 24 hours a day and nurses provide pre-operative, intra-operative and post-operative care to patients who require surgical intervention under general, regional, local and/or monitored anesthesia. Patient flow is critical to the efficiency, utilization and timeliness of these units. The Day Surgery Center at the McClellan Street Health Center is designed for the recovery of outpatients after surgery and the induction of general or other forms of anesthesia. Outpatient surgeries include general, orthopedic, gynecology, gastroenterology, otolaryngology, podiatry, dental and plastic surgery. All registered nurses who work in this area must have BLS and PALS certification and be ACLS prepared. Ellis Medicine Diabetes Care helps individuals with diabetes improve their quality of life by providing education to patients and their families. The Center's diabetes education program is recognized by the American Diabetes Association. The Ellis Medicine Infusion Therapy Center is an 11 bed outpatient center providing varied infusion treatments and maintenance of central lines and dialysis catheters for the outpatient population across the lifespan. Ellis Residential & Rehabilitation Center, located on the McClellan Street Health Center campus, is an 82-bed licensed nursing home and a sub-acute rehabilitation facility . The newly built, modern facility features three separate units: a 16-bed sub-acute rehabilitation unit for patients in need of short term rehabilitation, and two 33-bed long term care units that provide both skilled and custodial nursing care to the community's elderly population. The McClellan Street Health Center is home to Ellis Primary Care at McClellan Street, Schenectady and Ellis Pediatric Care which provides comprehensive and coordinated care for patients of all ages. The FHC and PHC are both located in the Cushing Building at 624 McClellan Street. Registered nurses are a key part of these highly trained staffs. Ellis Medicine's nationally recognized Sleep Disorders Center focuses on the diagnosis of and treatment options for many sleep-related health problems, including narcolepsy, apnea, insomnia, teeth grinding and sleep walking. This five-bed facility is located on the fourth floor of the main Ellis Health Center building. Ellis Medicine operates an outpatient wound management unit at the McClellan Street Health Center. The patient care team develops an individualized plan of care, which includes a thorough history and physical examination and wound-specific treatments, as well as possible laboratory tests, medical imaging studies and surgical procedures.